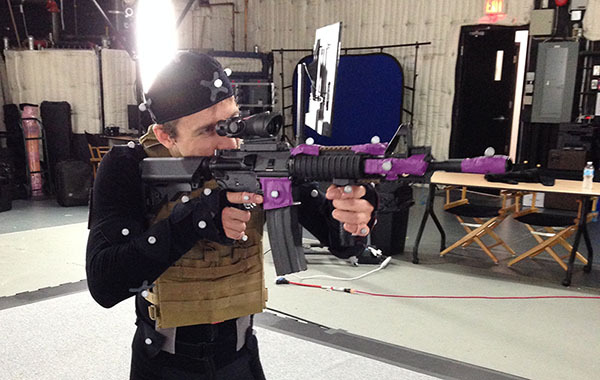 Squad Motion Capture Session : Squad – Communicate. Coordinate. Conquer. 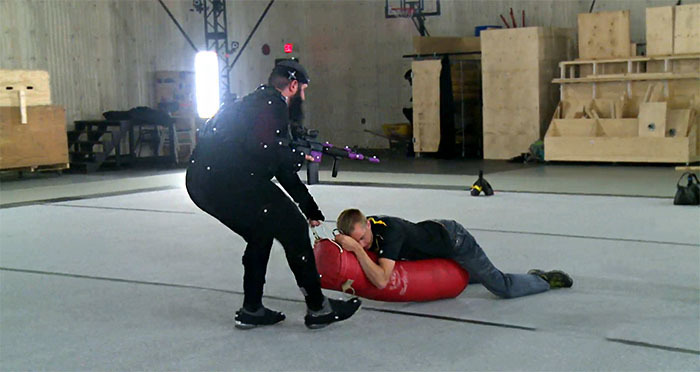 A few weeks ago our animation and military advisor team met up in Vancouver to coordinate and execute a Motion Capture session, in order to really up the ante on Squad’s third person animations, as well as to bring a touch of reality to the way our soldiers move in-game — something Animatrik knows very well. 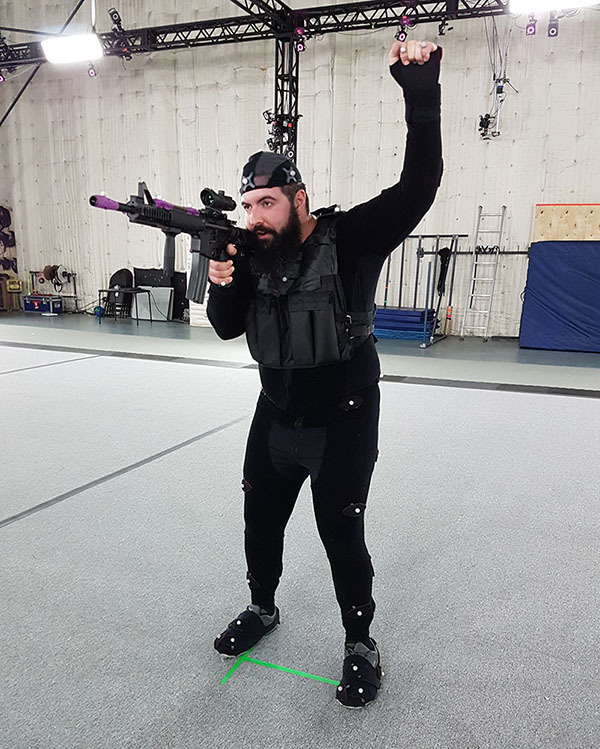 Up to this point in production, Squad has been using marketplace motion capture data, as well as our own hand-animated work, to cobble together what we have now currently in-game. However, as part of the new animation system we want to see if we can outdo ourselves by going through the proper workflow of getting our own animation work captured by actual military personnel, as well as working with their input on the capture stage. 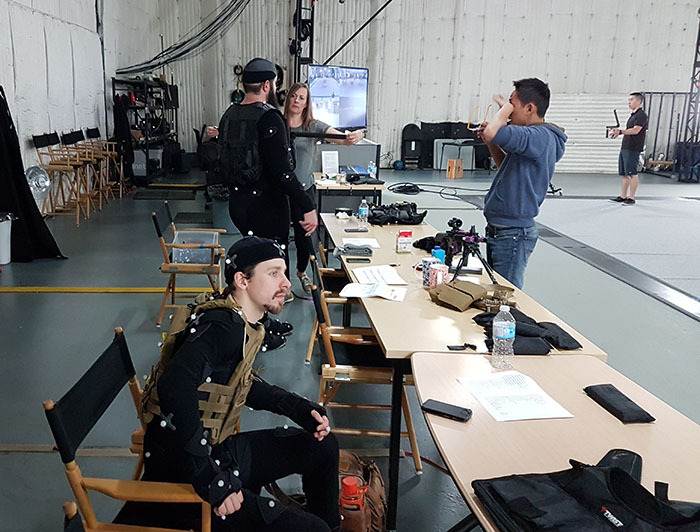 Helping us along every step of the way was Animatrik, an independent Performance Capture and Virtual production studio based out of Vancouver. 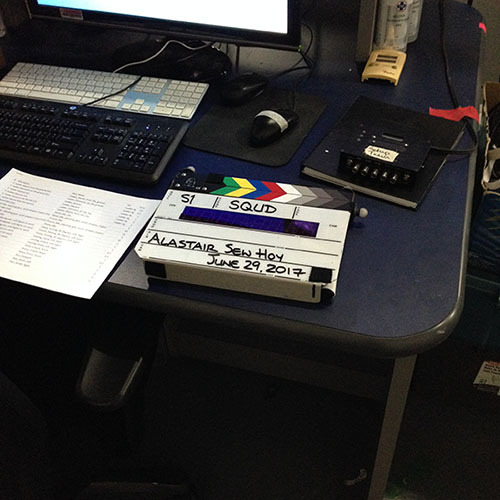 With their years of experience and countless film productions and games under their belt, we were in good hands seeing as many of us on the team had never done this kind of thing before. Suiting up was our own Sergeant Ross (former U.S. Marine Infantry and combat veteran), as well as one of the members of our Animation programming team, Kevin, to serve as Ross’ backup for the day. As Ross and Kevin were performing, we were able to see on a big screen display footage of the performance itself, and, even more impressively, a live feed of one of our US Soldiers running around. The feed itself wasn’t representative of the final product on our characters, as it was a live-retarget and there were imperfections that needed to be cleaned up later by animators. Over the course of 8 hours we captured as much as we could, with Animatrik’s technicians building sets and obstacles to our specifications in order to get the right kind of scenario for our actors to vault, mount over, or climb on. Now with this data in hand, it is up to our animators to integrate it into the game. Thankfully since the system is well on track it should not be long until we see the fruits of this capture session in the hands of our design staff and QA testers.